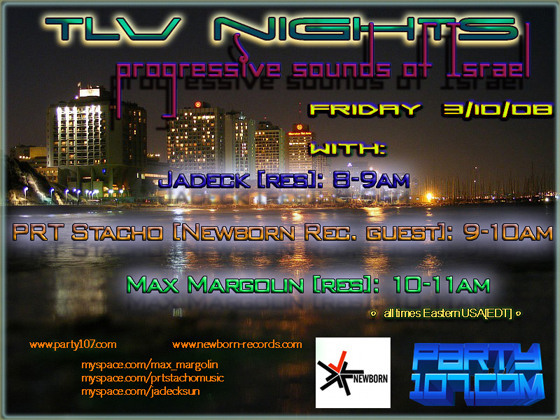 TLV Nights with Max Margolin moves from the first Thursday to the first Friday of the month and extends the show from two to three hours. The show also welcomes Jadeck as a monthly resident. Catch the first episode at the new time this Friday starting at 8:00 AM Eastern / 5:00 AM Pacific / 14:00 CET / 13:00 UK with guest PRT Stacho from Newborn Records!